Henderson, Texas, October 3, 2018 – Crossroads Family Care highlights Dr. Amsale Derese, DDS. Amsale has provided dental care for 3 years, and recently graduated from University of Texas San Antonio School of Dentistry. 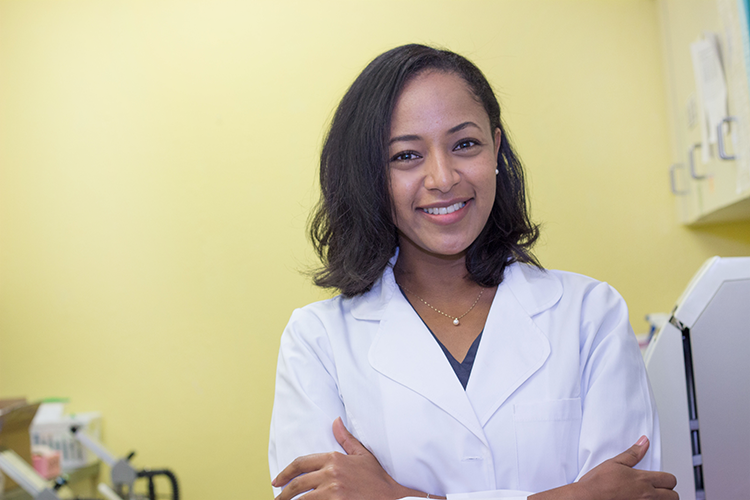 She enjoys community dentistry, and her favorite experience is helping patients who have been afraid to show their teeth be able to smile once again. Dr. Amsale has received a Certificate in Distinction in Dental Education along with her Doctorate of Dental Surgery degree. She is a recipient of the Health Resources and Services Administration Scholarship and the Joseph M and Phyllis A. Berrong Student Leadership Award, and a National Health Service Corp. (NHSC) student to service program scholar. She is a member of the American Dental Association and the Academy of General Dentistry. Amsale loves reading and writing poetry, oil-painting, swing dancing, spending time outdoors, and traveling.